This contains spoilers and I'm writing this on the assumption you've seen the episode. I watched this with my mother-in-law who hasn't watched any recent Doctor Who. She said the show had changed a lot and then asked us if it was usually that trivial. All we could say was that it varied. Obviously this was (mostly) a light episode before next week. It seems that the BBC had heard, but failed to understand, my lack-of-baby rant. Yes, there was a baby in this episode, but not the one who was abducted. Is this a sign once and for all that the Doctor has no intention of trying to find his friends' baby? Seems likely, especially as they don't seem too bothered about having her back. Well what parents don't want their unplanned infant to be raised by antagonist kidnappers? Oh look, a shop. Well the Doctor does love a shop, and also Rose was from a shop. When's someone going to point out the role shops have in all this, hmm? Also, why is a cyberman in a ladies' fitting room? James Corden is funny as Craig, I don't know why people disliked him. Craig is a funny, likeable character and Corden is good at playing him. It was nice that he was nervous and overwhelmed about the baby, though you notice how TV mums never seem to be like that? The chemistry between the characters is very strong, Matt Smith is an actor who works well with others. The Doctor speaks baby again and it's a lot of fun. I like that the baby named himself Stormaggedon, his attitude does explain that very judgmental way that babies look at you. I was confused when the Doctor was working in the toy shop then seemed to know a woman in a clothes shop. Then I realised it was one big department store, that wasn't clear earlier, I thought it was mall. He makes a pretty good toyshop worker, though seriously how did he get a name badge saying Doctor? Look it's Rory and Amy, do they live near here? And now some kid seems to have been allowed to go autograph hunting in the middle of a shoot, not professional BBC. Oh, actually it seems Amy is now a perfume model on an ad campaign with a slogan that's weirdly meaningful to the characters (though in fairness it's not that weird for a perfume slogan, usually they just string words together). Well what young girl doesn't go around getting the autographs of perfume models? Rory and Amy fail to see the Doctor despite the little girl pointing in his direction. This whole bit is kinda surreal, and I don't even know what it's for. Seriously what's this bit about? The Doctor keeps brooding every few scenes, rather spoiling the comedic tone. Obviously we need to remember that he is weighed down with concerns, though goodness knows what they are and why he isn't doing something about them. Cybermen are not so impressive when there aren't many of them. Why do they want Craig as cyber-controller? I see no particular reason to choose him over any of the other homo sapiens they find. Also I must say there seems to be remarkably little of the sawing and cutting that there's been every other time cybermen convert people. I was a bit confused that Craig didn't know about cybermen since they invaded the country (or London anyway) a few years ago. Then my husband pointed out that the universe got rewritten so that might not have happened. So things are all wrapped up nicely, Craig's house is thoroughly cleaned (lucky sod) and the Doctor has a cool cowboy hat. Except there's these randomly staring kids in the street. Seriously what's up with these kids, were they in the toy shop earlier? Did their mothers not teach them it's rude to stare? Turns out the staring children were a baffling link to the bit at the end. Well that lady who was left on her own is clearly dead, also I suspect she's breaking some kind of lone working policy. Surely she should have checked the shop was empty before letting the other staff go? Craig has a baby now, how long has it been since The Lodger? It's not easy keeping track in a time travelling show. Craig's worries over being a father are understandable as everyone seems to treat him like a large man-child. Sometimes bumbling dad characters can be a bit too ridiculous, it seems unfair that men should be generally painted as useless idiots (what if I want to be a useless idiot?). That said I find Craig endearing enough to pull it off. The Doctor speaking baby reminds me of the first Mary Poppins sequel novel Mary Poppins Comes Back. In the book the Bankses have another baby called Anabel and Mary Poppins can understand her. At first Anabel is very poetic and speaks of fire and wind, but Mary Poppins smiles indulgently and knows that it won't last -it never does. Later Annabel has forgotten all the grand stuff she said before and is only concerned with baby-stuff like sleeping and eating and being comfortable. I rather guessed that Stormaggedon would come to identify himself as Alfie by the end. The Doctor's upcoming death is hanging over this episode, but I don't understand why. He's a time traveller why does he need to go to his death now? I thought the Doctor who was killed was a good 100 years older, surely he should have plenty of time left? So the saving the day with love ending was cheesy as hell, but at least the Doctor tried to explain it away with techno-babble (in proper Sci-Fi TV the day is always saved by techno-babble). It still isn't as cheesy and dumb as everyone being cured by hugs and so I can forgive it. I'm doing this bit separately because it didn't feel like part of the episode. Those staring kids acting as witnesses and the creepy song had no part in what had just happened. I think I'm supposed to be excited and intrigued by the bit at the end, but I'm just confused and kind of annoyed. My barrel full of questions have been routinely ignored for almost a month and now I'm just having information clumsily thrown at me. Information that just creates yet more questions. It's just a way of getting me to watch next week, and I was always going to watch next week (I mean possibly not on the day cos of Fantasy Con) because I want some bloody answers! It's a reminder that there's only one episode to go and I need far too many answers for one episode to easily provide. It just strikes me as bad storytelling to have created a lot of ongoing plot that is just left dangling and unimportant for weeks only to be (presumably) concluded in a big rush at the end, which will probably be disappointingly jumbled. I realise that the episodic nature of the show and the writing is probably the main reason for this, but the lack of continuity on something that should be so important to the characters just makes them seem a bit stupid. The whole eyepatch lady thing from the first half of the series worked because it was a thread that ran through multiple episodes, it was something to look out for, something that kept us in intrigued. When some of the content of those earlier episodes was related to the unfolding plot you could see things coming together and that was fun. In this half of the series it seems like nothing is coming together, it's been stalled and has just been restarted. Overall the last three episodes -good as they were on their own- have felt like little more than filler and wasted opportunity. I was going to sum up what I knew of the ongoing plot so far and try to slot the bit at the end into that. However thinking about it just makes me confused. I'm going to Fantasy Con this year for the first time. I'm very much looking forward to it. I've met various friendly and interesting people on Twitter who will also be going, so if nothing else it'll be good to put faces to names. I'm hoping that as well as attending some interesting panels and events I'll be able to have some good conversations with other fantasy fans. While Eastercon back in April was my first convention, this will be my first convention away from home. I'll have to pack my suitcase, bring snacks and take a long train journey, but it'll be nice to be staying right there where the action is. I realise I haven't done a Why I Love post in a month. I could blame Doctor Who as I've been trying to post episode reviews each week before the next one is on TV. Really though I think I got excited and burned myself out. I came up with various posts and posted them all one after another without coming up with a long term plan. From October I'll try and post one at least once a month, but I don't think I'll manage it once a week. Obviously I need to go out there and find more stuff to love. This is the third Tim Powers book I've read and I really enjoyed it, although perhaps not quite as much as the other two. It's the inspiration for the new Pirates of the Caribbean film -except that it isn't. Disney bought the rights after the first Pirates film as there were various similarities between the book and the film franchise. Though the film shares similar elements the plot won't be the same (I've not actually seen Pirates 4, but I feel pretty safe in saying this), and the characters certainly won't be. For a start here are no mermaids in this book. John Chandagnac travels to the Caribbean to claim his rightful inheritance from a scheming uncle. On route the ship is taken by pirates -with help from fellow-passenger and deranged academic Benjamin Hurwood. John is forced to join the pirates or forfeit his life and so he is taken to the New Providence Island pirate settlement and renamed Jack Shandy. Jack ends up travelling with the fearsome Blackbeard, the sinister doctor Leo Friend, Hurwood and Hurwood's daughter Elizabeth to the Fountain of Youth. The way that the supernatural occurred in the book reminded me of both The Anubis Gates and Declare. It was like Declare because there were powerful, spiritual beings in existence that knowledgeable humans had to work with - though in this book they were based on voodoo (or vodoun) rather than middle eastern mythology. It was like The Anubis Gates because it suggested that magic was inimical to technology and had gotten progressively weaker over time. I liked this because it felt as though all the books took place in the same world, and given the well-researched settings and characters, it all felt like secret history. While there is a fair bit of darkness in all the Tim Powers books I've read I found some of the elements in On Stranger Tides a bit more unpleasant. I suspect it's because the one villain was entirely immoral and his plan involved a nasty, incestuous sexual element. Another villain had a plan that may have seemed romantic at first, but was simply sinister and unpleasant and probably would've become incestuous. The other villain was fearsome pirate Blackbeard, so that's quite a rogues gallery to be going on with. This leads me to Elizabeth Hurwood, the main female character and a woman who seemed to have everyone after her for all the wrong reason. She was kept captive by her father throughout the book, her ability to act for herself obliterated by a restrictive diet designed to keep her weak. She was seen as a vessel for the lusts, schemes and magical power of many of the male characters. Jack, who is the hero and the one man who desires her without wanting to use her, loves her and wants to do right by her. This was probably the best deal the poor girl was going to get, though I felt that the strength of feeling between Elizabeth and Jack was based on little time sent together - though this is very often the way in fiction so I can't particularly fault Tim Powers for that. Overall it was an excellent, intelligent book full of high seas adventure, suspense, thrills, intrigue, magic, nastiness and puppetry. My review of Declare is in Hub Magazine and my less coherent ramblings can be found in an earlier blog post. I also have an earlier blog post about The Anubis Gates. So this was an intriguing episode, not really scary though, which I think was meant to be the idea. The creepy hotel with the fears in rooms was a nice concept, and the mystery of what's going on and why certainly kept me watching. Tailoring each room for a different person makes a lot of sense, but as there's no room with my fear in I wasn't afraid. We knew there would be scary-thing behind each door, so none of it actually was scary. The start was funny, especially Rory's "we're nice" and the Doctor's reaction to the chair leg. The Doctor likes Rita cos she's smart, she's probably doomed. Though goodness knows it's funny that he fires Amy because Rita's smarter, Amy hasn't been too bright recently. Then he suggests Rita should come with him, she's SO doomed, she might as well be wearing a red shirt. Her death was sad and all, but so predictable that the emotion was lost. It was sad that other characters kept dying too, but it was obviously going to be that kind of episode, so it wasn't that sad. I mean the Doctor said "No one else dies." At that point all the non-recurring characters were setting off the doom-o-meter. I can understand trying to tug on our heartstrings by killing the likeable characters, but if that's obviously going to happen we won't put much effort into liking them. Plenty of that Who-staple running around corridors. Not sure how they kept finding each other and the dummy room again though. The ending was kinda confusing, I didn't really get much idea of who built the place and locked the Minotaur up and how people got there. Also seems that if the Minotaur didn't want to feed off people it should have been able to just stop and die. I don't know. It was just 'oh look a spaceship, that was why mumblemumblemumble'. I'm also not quite sure what's happening with Amy and Rory and the Doctor at the end. Obviously Rory's glad to get back to normal life, and he gets a great car, so win for him (also he hasn't died in ages, so really he's doing pretty well). Amy -who has been a bit of a flight risk when it comes to normality- is obviously a bit freaked by the Doctor leaving. Not sure about the Doctor, though. It feels like a build up to something (which it almost certainly is) but I don't get the internal reasons why. I did like that their front door was TARDIS-coloured. So Room 101 meets Greek Mythology - except there wasn't really enough Greek Mythology. I was waiting for references to Theseus, or Ariadne, or string, or something, but they didn't come so that was kinda distracting. I mean the whole hotel-is-a-labyrinth thing is fine and fits the theme, but I was expecting more (then again I suspect that's just me). I'm glad they called the creature a Minotaur, rather than the Doctor coming up with some fancy alien name for it that means nothing to us (like with the Carrionites in the Shakespeare episode a few series ago). Of course it did look fairly alien and not much like a man with a bull head, but sometimes a silly alien word is just the Doctor showing off and the writers wanting to try and stick (loosely) to SF. Rita was a great character and you can see why the Doctor liked her, I liked her and thought her presence was valuable - but so clearly dooming her to death (however dignified) meant I didn't want to invest in her. New Who has gotten a bit too comfortable in it's tropes and it really spoils the suspense. The main creepiness wasn't the rooms but the way the people who were praising him started speaking. Creepy, death-culty zeal sends shivers down the spine. Not quite sure why fears or bad dreams (and which was it, because those aren't necessarily the same) are related to people's faith? I mean it seems as though there would be other ways to summon people's faith than scaring them, but possibly I missed something, or maybe it's a function of the broken holodeck. If the TARDIS is supposed to translate alien languages how come only the Doctor can understand the minotaur? I mean the Doctor translates all the plot relevant stuff so I'm not sure I see the point in hiding it's speech. I guess it was a way of keeping the minotaur more animalistic. The Doctor calling her Amy Williams at the end seems like he's giving up claim to her, which is a bit problematic. I guess it's because he calls her Pond normally and he's distancing himself. I can't see there being any ownership issues from Rory, he's not the sort. I can see why the Doctor's distancing himself, we've had two episodes in a row showing the bad side of Amy's faith in him, but I have no idea what he intends to do next. Amy mentions her daughter, which was a confusing surprise. So she acknowledges River (and Mels/Melody?) as her daughter, but doesn't have any actual concern about her. It's a bit bad really. I mean she doesn't ask the Doctor to look for her, just to see if he runs into her, like it's all a bit of a joke. After total silence on the subject this seems a bit flippant. The episode was a good one, although I don't think it hit all the beats it was aiming for. I liked the idea thought didn't feel as moved as I would like. Found the end a bit confusing. When are we getting back to whatever it is that we've been ignoring/forgetting about for the last few weeks? I have loose plot threads going back a year and I'm becoming increasingly worried that there are too many gaps to fill. I like having standalone episodes, but ignoring great flapping loose ends and canyon-like gaps just makes the characters seem a bit stupid, especially when there's nothing stopping them investigating. The preview of this episode looked intriguing and I was really hoping it would be good. Happily I was not disappointed. This will be pretty spoilery, though this is very much a standalone episode so I won't be mentioning anything to do with ongoing plot threads. This was a damn good episode! The divergent time streams and resulting exploration of time paradox feels much more like sci-fi than usual. Rory and Amy are finally doing stuff, not just wandering around reacting to stuff. Obviously there's some reacting, but there's also lots of doing and that's good. Older Amy is pretty cool, you can tell she's Amy but with a hard and lonely life. Her swirly fighting at the end is just fun and great. She's tough and confident but in a totally different, more grounded, way to River. In fact it's hard to picture older Amy and River in the same scenes, they belong to different kinds of stories. I felt so much for older Amy, life has generally been unfair and disappointing for her. The interactions between her and Rory (and to a lesser extent her and younger Amy) are so touching but also sad as she's obviously doomed. Rory's care for unconscious younger Amy was lovely to see, so sweet. This is another time when Rory is great and they are an excellent couple. Oh, the bit at the end when older Amy and Rory talk through the TARDIS door was so, so sad! Probably good that younger Amy was (conveniently) unconscious for that. Finally an episode that feels more like SF than usual. Exploring the possibilities of time travel and paradoxes really uses the potential of Doctor Who. I like that this episode explores the emotional impact of time paradox. Coming adrift in time, away from your loved ones, is an odd kind of separation with a wide variety of implications and repercussions. The Doctor is conveniently removed from the bulk of the action due to a time traveller quarantine, and after the initial explanation acts as a remote adviser. This means there's even more space for interactions between Amy (both of them) and Rory. For the first time this series the two companions are allowed to take centre stage. The white, white place with the white, white robots felt like some that would be designed by Apple. iParadox? Very institutional and shiny and uniform. Also appropriate as it's a place that provides endless distraction. It's good that we get to see the grimier backstage areas and the scary needle faces of the robots. Older Amy has been abandoned by her friend and loses her husband, and so her confused, guarded-but-tender feelings for Rory when he finally shows up are absolutely understandable. Her desire to survive even if it means denying her younger self a better future, could be seen as selfish, but perhaps it also shows her fighting spirit. She hasn't survived the robots all this time only to be winked out of existence. It's sad because we know that will eventually be her fate (let's face it they weren't going to keep making Karen Gillan wear that make up). Rory is excellent too. After the initial shock he is so understanding and accepting of older Amy, and no doubt feels horribly guilty that she was on her own so long. She's older now but she's still his wife and he still loves her. He refuses to choose between the Amys when given the choice, and continues to preserve both versions up to the last minute when the Doctor forces his hand. Ah yes, the Doctor. I felt he was being particularly harsh when he described older Amy as not real. She was obviously real, she was a person with feelings and history and her own existence. I can understand the desire not to allow a time paradox into your time machine, that's just good sense (probably). However the Doctor didn't have to be so dismissive of her. I'm assuming he did it to force Rory's hand and make him accept the choice, still it didn't feel like something the normally life-affirming Doctor would say. Um, nothing that I didn't cover with more passion last week. Still no Melody concern, but this episode was so good I wasn't too worried about that. 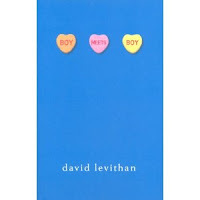 Earlier today I found out about two YA authors who were told to change the sexuality of a character via Juliet E. McKenna's blog. I read quite a few teen books for work as I help run a teenage reading group. In fact I was at a discussion and making recommendations only a few hours ago. As I read the above posts I realised I could think of quite a few good books about homosexual teens. These were books that covered a variety of genres and explored relationships between friends, families and couples. Most of the books I can think of are American, so it isn't as though the US market for YA publishing is devoid of this kind of diversity. As the article says the existing books need to increase their profiles so that agents and editors can see that haven't a gay character isn't toxic to sales or approval. "There isn't really a gay scene or a straight scene in our town. They all got mixed up a while back, which I think is for the best! And whether your heart is strictly ballroom or bluegrass punk, the dance floors are open to whatever you have to offer. This is my town." 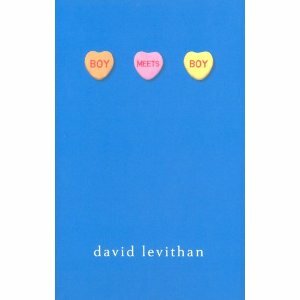 This is a book about relationships and high school romance, regardless of sexuality. Paul lives in a very accepting and open environment (one which the adults at work who read this book found a little unrealistic, although the teens didn't have a problem with the setting). Paul is best friends with a girl called Joni, however their friendship is under stress due to Joni's new boyfriend. Paul himself is trying to keep away from his ex, Kyle, and is falling for new boy Noah. The only character who faces real problems because of sexuality is Tony, who comes from a different town and has religious parents. The group of friends help Tony to be more accepting of himself and do not understand the way his parents treat him. Tony's parents are portrayed fairly, they are worried parents who want to do the best for their son and Tony explains to his friends that their strictness is a sign of their love for him. An enjoyable and mostly lighthearted read. This fantasy book is a different take on the Cinderella story. Ash grew up near the wood and like her mother she is able to see the fairies who live among the trees. Ash ends up living as a servant in her stepmother's house in the city, but even then she is still able to contact the mysterious man from the woods who grants her wishes, for a price. 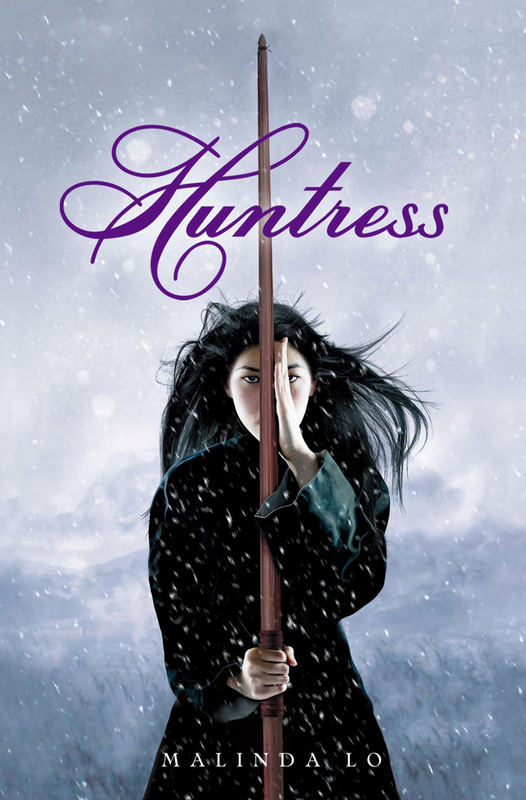 She also meets Kaisa, the King's Huntress, a woman who inspires her to escape her dreary life and follow her desires. This story is clearly inspired by the fairytale but is also very much it's own thing. The setting feels European, but a bit more modern than the traditional pseudo-Medieval fantasy world. The wish granting man from the woods is a far cry from any fairy godmother. He is cold and aloof and his wishes are only granted with a strict price. The death of Ash's parents and her attachment to her childhood home are strong factors in her story. Her uncertainty about what she wants from her life and her slow acceptance of love make Ash a more realistic figure than the normal Cinderella-type character. I read this back in July and mentioned it in an earlier post on this very blog. For my full review click here. I believe it is the only book in this list that features mostly non-white characters. The setting is based on Chinese history and it seems safe to assume that all the human characters are south east Asian. Technically it's a distant prequel to Ash, set in the same world- though I find it hard to understand how a society based on feudal Japan would turn into a society that feels like early-modern Europe. There are some details in common but the two books feel different enough that they could be standalone. I suspect the story involves aspects of fairytales, although to me it mostly felt like a quest fantasy with a well-written romance plot. Thom Creed is used to being an outsider, his father is a widely hated ex-superhero after his failure to prevent a disaster. Thom doesn't want to disappoint his father, who lives in disgrace and was also abandoned by his wife. However Thom is not only gay, he also has a superpower and wants to join the League that spurned his father. Thom secretly tries out as a superhero and joins a junior team and must try to keep all the different parts of his life from colliding. 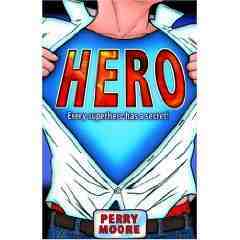 This is a story that works very well as a piece of superhero fiction. It addresses both official, super-powered heroes and unpowered, unofficial vigilantes. There's all the mystery, secrecy, action and danger you would expect from a well plotted superhero story. Told from Thom's point of view the story addresses two different ways of living with a secret. Thom has both his sexuality and superpowers to worry about, as well as recurring family problems and dangerous superhero politics. 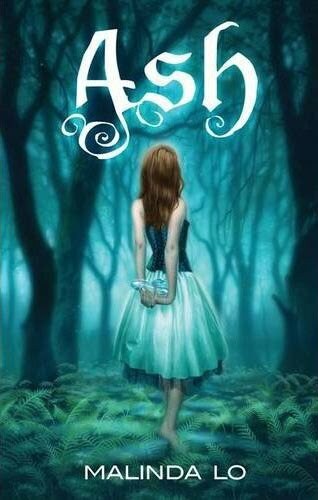 This novel takes a very adult look at children's fantasy tropes, especially the likes of Hogwarts and Narnia. Quentin Coldwater is a gifted teenager who discovers a magical world after finding a dead body at his Princeton interview. Quentin passes a difficult and perplexing set of tests and gains admission to Brakebills, the only magical college in North America. The book not only charts Quentin's four years at Brakebills -including the friendships, romance, magical tests and dangers- but the period of aimlessness and wasted twentysomething years that come after. There is little that's glamorous about Quentin or his life, and magic isn't shown as a panacea for human problems, in fact it may be the opposite. It's a very modern fantasy, but isn't an urban fantasy. It encompasses both primary and secondary worlds, but isn't quite defined by either. It's a very personal story and we see Quentin warts and all as he comes into adulthood. While there's little sensawunda, there is a fair bit of action, which takes place between descriptions of everyday life which are familiar in their mundanity, even if it is a magician's version of mundanity. Grossman has managed to write a fantasy that responds to and engages with the magical thinking present in so much of the rest of the genre, and this makes it refreshingly different. Entirely coincidentally the next book I read also starred a Quentin. This is another great book from the author of the excellent Looking for Alaska. Quentin Jacobsen has always loved his neighbour Margo Roth Speigelman. They aren't really friends by the time they reach their final year of high school so he is surprised and excited the night she knocks on his window and takes him on a late night prank spree. Then Margo disappears on one of her trips, her parents say they won't let her come back home this time, and Quentin finds himself investigating the hidden life of Margo Roth Speigelman. This is a great book by turns funny, insightful, intriguing and poignant. It includes poetry by Walt Whitman, crass humour, a sense of dread, and an exploration of how we relate to people. It's nice to see a book in which a girl who is the object of the main character's affection is shown to be both more and less than he expects her to be. Quentin realises that he put Margo on a pedestal and discovers that not only did he fail to understand her, but so did everyone who knew her. Everyone has their own version of Margo, and none of them can explain her. The book played with my expectations at every step and I honestly wasn't sure how it would end. This is a great book and I would recommend John Green's books to any teens (or indeed adults) who want an interesting, entertaining and also meaningful read. Oh a scared child, well I can relate I'm still a scaredy cat. Anyway... this looks suitably creepy and it's in a mundane and downbeat sort of setting. Reminds me of Fear Her -which I seemed to enjoy more than most (I quite liked the Isolus - I felt sorry for it)- but in darker way. That poor kid is so freaked out and the way he moves so hesitantly and carefully is good acting. When you're a scared child you just want to curl up in a ball and remain motionless with your eyes screwed shut. Of course that's not so good from a televisual point of view. The mansion is confusing change of scene, we totally guessed it was a dollshouse, obvious really. Oh those dolls are so, so creepy! And you just knew they were going to move and be evil! Mean landlord is really a lonely soul with only his dog for company. It's a misleading if comforting view of a bully. Aargh! The scary dolls turn people into more scary dolls! There's no stopping the things! Of course the second it happens to Amy we know it's not permanent, so that's OK. Some good lines and some funny scenes in the flat. Feel bad for the dad, a strange man shows up, at first is helpful, then won't leave. Then the mean landlord shows up and is threatening. Then he discovers his son isn't really theirs and his life with the kid has been a lie constructed by an alien cuckoo. Incidentally I totally said cuckoo way before the Doctor did, and figured that the kid didn't know what he was. All better by the time mum comes home and everyone's having a jolly time in the kitchen. Though possibly the Doctor should have provided more info about the care and feeding of an alien child. That was a creepy episode with a nice ending. Rory and Amy are unimpressed by location but they are on a planet in history, you'd think they could step outside their own perspectives a bit. Daniel Mays and Matt Smith have good chemistry together, not surprising they're both good actors (Mays was best thing in Outcasts). The dad is clearly fearful of many things, including nasty bully landlord, an adult fear. Briefly thought maybe the kid was a somehow a younger version of the dad - oh no turns out kid's an alien. One of the main problems with Who is that that's pretty much always the answer. It can ruin the fantastical aspects of the show, whilst still being fairly poor SF as there's little exploration of the alien itself. The Doctor just says what it is and what it does and that's that. I think that's the tricky thing with having such a knowledgeable/powerful character. Also there seem to be a fair few aliens just drifting about the universe looking for places to belong. I still like and feel bad for the little Isolus, but we don't even get to see what a Tenser(?) is, so really the Doctor might as well have said 'magic kid'. The dollshouse thing was obvious after the wooden copper pan, and the point rather laboured by Rory and Amy refusing to open curtains or think about their location and the stuff they found there (that lantern was clearly oversized but there was no comment). If you want to see a really good example of this kind of situation read The Magicians of Caprona by Diana Wynne Jones, I won't say more to avoid spoilers but it's very well done. Not really sure what Rory and Amy are actually doing. I guess they're just there to run from the dolls, which are creepy enough on their own anyway. Also what happened to the old lady? I assume she ended up in the dollshouse, but then we don't see her. Is she a doll? It was a creepy episode and provided decent enough chills and discomfort to contrast with familial scenes. The inclusion of other people besides the TARDIS crew and the family made it seem like a wider problem, though not as serious as in Fear Her. Not impressed by Rory and Amy though, they seemed fairly unconcerned by a mission to help a scared child - though given recent events I guess that's perfectly normal. It feels like something's missing, what could it be? Seriously these people lost their baby and they don't seem to give a damn. In a kid-based episode they seem unconcerned by anything other than their own safety. It's just cold. In Fear Her Rose was all for investigating the disappearance of children that weren't related to her at all. However Amy and Rory seem content to forget they even had a kid (unplanned and unexpected though she might have been). I realise they know some of her backstory as River/Mels, but surely they also know that she had to die (possibly many times) to get to that point? And I realise logically-speaking that interfering with Melody's timeline could mess a lot of things up, but surely as a parent you would rail against that, sensible as it might be. Of course we all know babies are a right pain on TV shows, they don't do anything dramatic, they don't have dialogue, they're unpredictable as performers and they take up a lot of time and attention. I suppose this is really a very convenient way of having your main characters have a child without actually having to worry about all that icky, boring, domestic, un-televisual child-rearing stuff. Possibly I'm being very cynical here, but I must say I'm hard pressed to find another reason. I appreciate that finding Melody can't be the focus of every episode, Doctor Who is an adventure show and being too baby-focused would put people off, I get that. But shouldn't there at least be a scene where Amy and Rory comfort each other, or discuss their loss, or at least act as though they're aware they have a child? Their husband and wife chemistry was good, but so far their parental instincts are just dreadful. So a week behind I'll admit. I did do a Doctor Who related post about how I watch it, something which I think is worth mentioning in light of how I'm reviewing. I think my main fear in the run up to the new Doctor Who episodes is that the amusingly-titled Let's Kill Hitler would just be a fun romp without answering any questions or progressing the ongoing arc. Not that there's anything wrong with fun romps, they 'e obviously fun, but in a programme that's set up so much plot I find myself impatient for answers. The start of the series proved that the show has no problem halting plot for fun (as seen in that pirate episode) or leaving large plot holes between episodes (if anyone can tell me what actually happened between Impossible Astronaut and Day of the Moon I'd be fascinated to know). As it turns out the episode was a fun romp full of plot relevant stuff, and many questions. This will contain spoilers, just warning you. It started with Rory & Amy contacting the Doctor via crop circle. A new character appeared, was given a hurried backstory that showed the early relationship of Amy and Rory. There was lots of running around, there were fun one liners, there was a shape-shifting robot/justice ship with a shrink ray! Posh people had their clothes stolen and ran out of a restaurant in their undies. Hitler was mocked, Rory punched out a Nazi, River was being cool! What more could we possibly want? There was peril, the Doctor was killed (again, what is that about) but not for definite. We found out a lot more about River/Mels/Melody's story. It's all a plot, but who is plotting and why? Mystery and intrigue abound. This was fun and had some cool ideas, although it didn't entirely make sense and afterwards I find I still have many questions. I liked that Rory and Amy are contacting the Doctor in order to get more information about their missing baby. Of course that got interrupted by the arrival of Mels, who I assumed would be River until she got out of the car -it was a very River-like entrance. (You can imagine how pleased I felt when she regenerated.) I liked Mels, I wouldn't be surprised if she were the only black kid in the village, I grew up in a rural village and there were less than 5 children at the village school who weren't white. Killing Hitler is a bit of a time travel fantasy, and also a rookie mistake, it's easy to see why this impulsive, trouble-prone girl has decided on this. I liked the justice ship/robot, it was a neat idea. I also liked that those shooty death robots basically seemed to be antibodies. I'm hoping that in the future I can use this episode to explain my auto-immune condition and make it sound cooler. Of course it'll only work if someone has seen the episode, but I'm willing to give it a go. Hitler was there but mostly as a background. He was more set dressing than a plot point or character. I suppose taking Hitler seriously immediately stops all the fun romping. The Doctor turning up in a suit immediately reminded me of the last program I saw with Matt Smith in 1930s Berlin, of course that was Christopher and his Kind so I had to banish thoughts of loud, enthusiastic man-love. Having River unaware of who she is and annoyed by everyone knowing more than she does is a nice turnaround to her enigmatic, knowing smile. IShe acted a bit immature, though she had been an irresponsible twentysomething just moments before. This also means that the Doctor/River relationship isn't going entirely in opposite temporal directions. Well at least we now know why River doesn't regenerate in the library. Also interracial regeneration seems to be possible. There's still a chance Paterson Joseph fans. Thing is, thing is... I don't know quite what's happening. It's all crazy and fun but I feel like I'm missing something. It didn't feel coherent as a story, more a set of fun things on which to hang some reveals. One of the people I was watching with hasn't seen New Who, and commented that it must make more sense if you'd watched previous episodes. It was a good point, this was very much not a self-contained episode. It purported to give is answers, but really just raised more questions. Lack of answers in TV is one of the things that has put me off series before, usually American series which do tend to do drag things out more. Then again this plot (or parts of it) has technically been going on for two series, so I think it's fair to say that it is being dragged out. How does Mels know who Rory and Amy are? Has she seen them since she was a baby? She seems to have a lot of info as Mels, but not much as River? She must have regenerated again, right? Why would a time travelling justice robot try to kill people before they've committed their crime? They aren't trying to prevent anything and they seem to have pretty accurate files, so surely they should know what time they're meant to strike? Why was River created/brainwashed to kill the Doctor and how does that work? Why aren't Amy and Rory a bit more curious about their daughter/best friend? Seriously, wasn't that why they initially contacted the Doctor? It seems as though whenever an issue about missing Melody comes up the answer is 'Oh well she's River, so it'll all be fine' and everyone just accepts that! I have more questions, but I won't go on. Overall it was a fun episode, but it was definitely one of those that didn't hold up to thinking. OK I've left it a while between book blogging again. I got distracted by television blogging. This doesn't mean that television distracted me from reading -though that happens on occasion- it just means I that I have been writing TV blog posts more than books. Then again TV stuff needs to be done reasonably soon for it to feel current, whereas books can be re-read whenever so there's less time pressure. Of course this approach does mean I forget things I was going to say and the contents of the book aren't as fresh in my mind. I expect I've missed out various things I was going to say and apologise for that. Having gone to a workshop run by Juliet E. McKenna at Alt-Fiction this year, and having found her to be interesting and intelligent, I thought it was high time I actually read one of her novels. Though I read a lot of fantasy I sometimes find I go through long stretches of not reading much traditional/epic fantasy, partly out of a vague assumption that it will end up being a lot like all the epic fantasy I read as I teenager. This is a silly and unfair attitude to have and it's mostly an unconscious. I suspect it's my brain trying to steer away from things that will remind me too much of my own teen angst (which I discovered a couple of years ago can simply re-emerge from the depths of the mind like a sea beast you thought had died but actually had only gone into hiding). Of course I read partly to escape from teen angst and so I doubt that anything I read between the ages of 14 and 18 will actually hold any taint, and anyway it turns out the sea beast would much prefer to surprise me. Goodness that got kinda personal there, anyway onto the books! As I expected this turned out to be an excellent and entertaining book. The world created was traditional in that it was pre-industrial and had magic, however it wasn't just the pseudo-medieval. McKenna obviously created the world of Einarin carefully and thoughtfully and I was happy to note that she had included various details -especially the new practice of enclosing fields (finally a use for all the Social & Economic GCSE History stuff)- that gave the world -or at least certain countries/regions- a fairly specific technology level. The characters were engaging and varied, the main character (or at least the only first-person narrator) Livak was kinda amoral but also sensible and fun to be around. It is surprising how often authors forget that characters can be fun, obviously plots tend to bring about seriousness and danger and drama, but it's good to know that you're reading about someone who knows how to have a good time when things are going well. Other characters varied in likability, most benefited from being seen from other characters' point of views as well as their own making them far more rounded and three dimensional than they would have been had we just occupied their heads. The plot was interesting and galloped along at a fair place. It (and the characters) roved around the continent, showing the reader various places that appear on the map at the beginning. A relative small act of revenge turns into involvement in part of a wizardly scheme, which becomes an intriguing and dangerous mystery, which leads us off the map entirely into a whole new area of peril. Highly recommended. I have already ordered the next book and look forward to reading it. I bought this Angry Robot in the dealer's room at Eastercon and only recently got round to reading it. Angry Robot put handy tips on the back of their books and on back of this one it said it would be enjoyed by those who liked Neverwhere by Neil Gaiman, A Madness of Angels by Kate Griffin, and Tithe by Holly Black - I have read and enjoyed all these books, so it seemed like a good bet. It's a British urban fantasy and as such is set in London, however there are scenes that take place outside of London in the rural Midlands (which is where I grew up). I liked this because urban fantasy has a tendency to ignore or be suspicious of the countryside (then again so do some urban people, so I guess it's not surprising) and English urban fantasy tends to forget that there are parts of England that are not the south east. This isn't a complaint so much as an observation, and if I've just missed out on the books that have bucked this trend I'd be happy to hear recommendations. The book is about an ordinary Londoner who discovers the magical, secret world that he never knew existed. In this case it is a world of the Feyre (hence the Holly Black comparison) and Niall Petersen must try and survive in this strange world of magic and rules. Niall himself is an everyman figure, understandable and mostly likeable, although I didn't feel that he was particularly special. His companion and guide is Blackbird, a (very) mature lady who later transforms into a lovely young woman and love interest. I liked Blackbird and thought that her position of power and knowledge over Niall made sense, although (as with so, so many other books) I found that the romance part of the plot seemed rather accelerated considering the book takes place in under a week. However this is a personal preference and I didn't feel that the romance was unlikely or over-sentimental, things which I often find in books. Although it was a familiar story Sixty One Nails was a good read that distinguished itself well. I particularly liked the fact that it's founded on a real event, proving that reality can be delightfully strange. Before I write reviews of Doctor Who I would like to say a little about how I watch the programme. I tend to find that the success of a New Who episode rests on how much it stirs my emotions and whether my intellect gets in the way whilst watching. Afterwards my intellect tends to kick in, thinking through the concepts and -often- picking holes. At this point how much I enjoyed the episode whilst watching becomes important, as I generally don't want to pick holes in stuff I enjoy. There are two Russell T Davis episodes that are good examples of this head vs heart reaction. 'Midnight' was a great episode. The Doctor and a group of tourists are trapped in a confined space with a mysterious creature. The show starts lighthearted but becomes tense and claustrophobic as the characters' emotions run wild. There's anger and fear manifesting in the growl of the mob, the Doctor starts as the voice of compassion but soon becomes the scapegoated outsider. The episode works so well because it's mostly emotional, there's little to think through because the threat is purposely intangible and mysterious. We never had a name, face or attributes for the creature, and that made it spooky because even the Doctor didn't know what it was, or what it wanted, or how to defeat it. At the other end of the scale is 'New Earth'. The Doctor and Rose visit a futuristic hospital run by nun-like cat nurses. Behind the scenes artificial lifeforms are infected with various diseases in order to research cures, however they become sentient and don't like how they're treated. There's some body-swapping by villain Cassandra and the Face of Bo is there for some reason. There's a lot going on in this episode, plenty of running around and dealing with problems. There are some amusing moments and interesting ideas, although they don't stand out much for me. I liked how there were catwomen nurses (two things that are often sexualised) who were also nuns with wimples and stern demeanours. Unfortunately the ending broke my suspension of disbelief so much that I wanted to shout at the screen. Maybe I did, I can't remember. All I know is that mixing together lots of medicine doesn't instantly cure multiple diseases -and even if it did, cures can't be spread by hugging! In fact the scenes in which everyone is healed by hugs were so smaltzy and illogical and unrealistic that I found myself becoming annoyed. During RTD's run on the programme there was foreshadowing, usually done through prophecy and hidden words, and the event episodes tended to be big and overblown with much emotional impact (if not always much logic). By contrast Stephen Moffat's complex arcs, timey-wimey machinations and plot spaghetti means that in order to follow events the audience needs to remember previous episodes (sometimes from over a year ago) and keep their thinking caps on. While I'm all for TV that makes you think I've found that engaging my intellect tends to mean that the less logical aspects of Doctor Who episodes are more obvious.